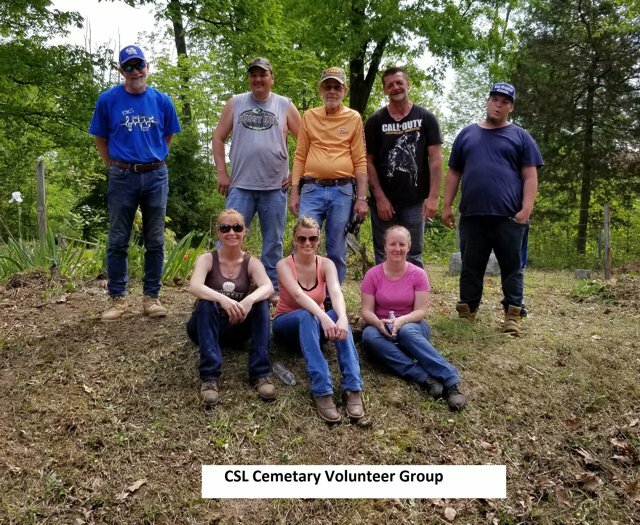 Spring 2018, volunteers came together and cleaned up the cemetery on Crabapple Ct. Duties included removal of trash and debris, mowing, and weed eating. The volunteers included Robert Luttrell, Mary Hoevener, Ray Kline, Sharon Kline, Morgan Philpot, Brian Colvin, Maverick Colvin, Chad Clarkson, Amy Lowe, Jack Gay and Nicole Deaton. If you or someone else is looking to volunteer, please contact the CSL Community Association office to get signed up. 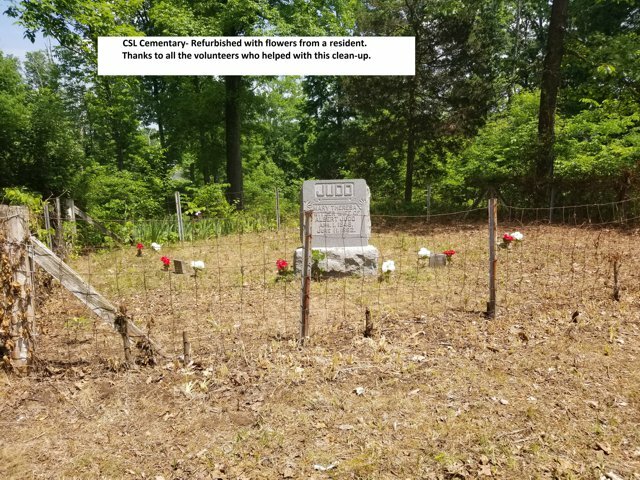 We are looking for information regarding this cemetery. If anyone has any information on the cemetery, please contact the association office.